The beginning of the 20th century saw the opening of the Victoria Operating Theatre block. This provided vastly improved conditions for operations undertaken by Dr Ewart and the Honorary Surgeons. Unlike his predecessors, Dr Ewart was an active surgeon, and his skills were respected by his colleagues and much appreciated by his patients. The honorary medical staff continued to be appointed for two year terms, and there was no automatic tenure for the incumbents. At the beginning of the period in question, there were four honorary surgeons and four honorary physicians; by 1910, increased workloads resulted in the number of posts increasing to five surgeons and five physicians. In 1912, the King Edward VII Memorial Children's Hospital was opened, providing not only purpose-built wards for childen, but an operating theatre as well. Staff numbers were increased appropriately with the creation of four new honorary posts - two surgeons and two physicians. It is of interest to note that when the Board advertised for the two honorary physicians, they specified "Lady Physicians". Thus, the first female senior medical staff at the hospital were appointed, Dr Agnes Bennett and Dr Daisy Platts-Mills. The outbreak of WW1 resulted in disruption to hospital services, with a number of the honorary staff leaving to serve overseas. One physician, Dr Alexander Tolhurst was killed in action in France, and Dr Charles Begg, honorary surgeon to the Children's Hospital, died in London of complications from influenza soon after the armistice. Hospital services were stretched also because of the influx of injured and ill servicemen, with the recently-opened Victoria Hospital for Incurables being taken over by the military. Any surgery needed for servicemen was generally performed in the Children's Hospital operating theatre. Those senior medical staff who remained in Wellington during the War were supported by a small number of resident medical officers - house surgeons - and in 1914, a fifth-year medical student was appointed as a Clinical Clerk. This 1916 medical staff photograph shows the full-time staff of that time. 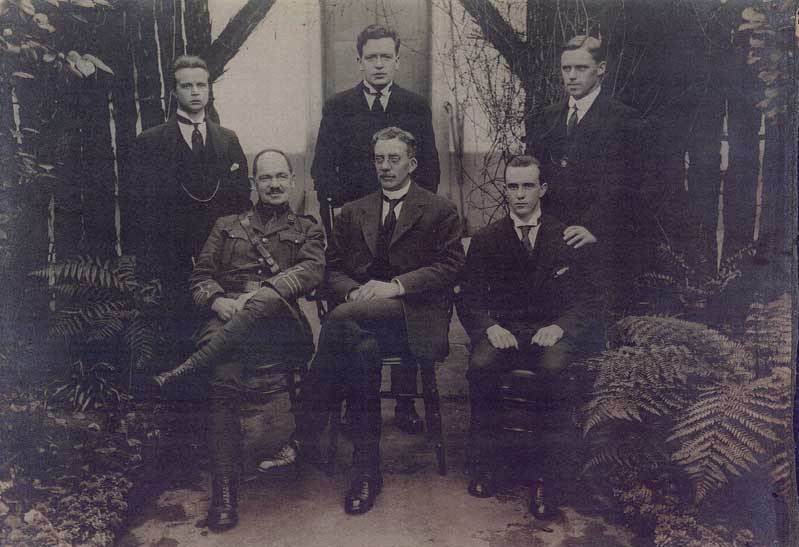 Major Henry Deck (seated left) was the army surgeon in charge of military patients.